Posted on October 14th, 2016 by Jacob. Who’s old enough to remember VHS? Black lumps of plastic you always had to rewind or the rental shop would complain. The preferred recording format from the mid-eighties to the early two-thousands, until the arrival of DVDs meant they were consigned to the back of the cupboard, containing memories from yesteryear: Holiday videos, weddings and old episodes of Emmerdale Farm. When was the last time you watched those old VHS tapes? Do you still own a VCR? 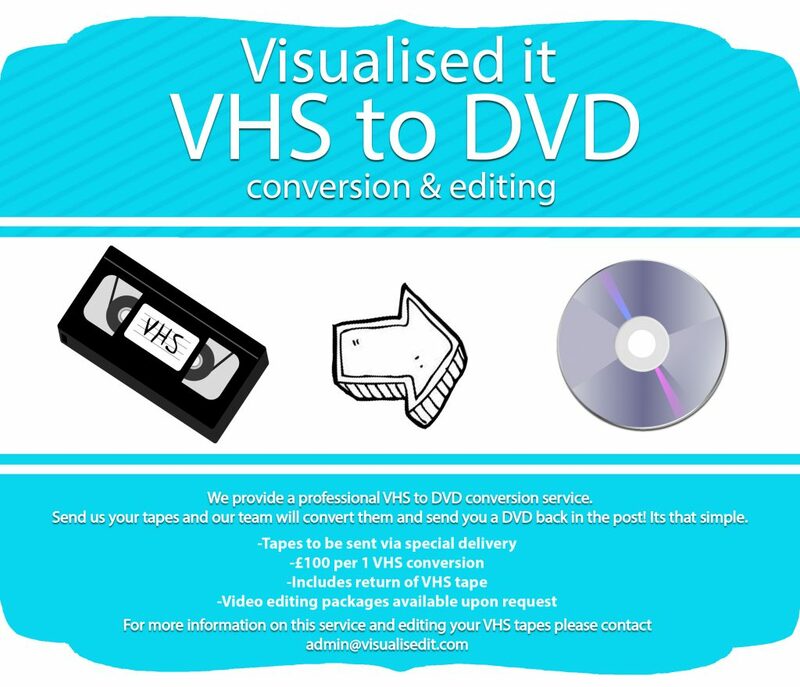 If not, we can help: Visualised it Video Production are offering a new service: VHS to DVD conversion and editing. Send us your old tapes, our team will convert them to DVD and we’ll send them back in the post! We can also edit the footage from the tapes into a video with music, transitions etc., depending on the service you choose. Don’t let those memories fade away, relive them with Visualised it’s new VHS to DVD conversion service.